Aloha and welcome to Hale Kona Kai; Hawaiian for "House by the Kona Sea"; rent an absolute oceanfront vacation condominium on the Big Island's Sunset Coast -- Kailua Kona Hawaii. 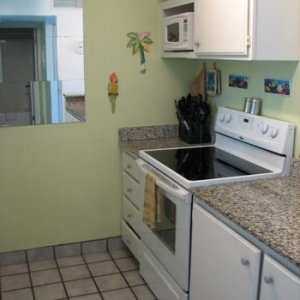 Our complex is the only true and absolute ocean front condo complex within easy walking distance of Kailua Kona town, which is about a block away. Walk to town for dinner or coffee, shop for all sorts of one-of-a-kind items. There is a farmers market about 2 blocks away with wonderful tropical fresh fruits and veggies. Try a white pineapple or some of our famous Kona Coffee, fresh from the farm. There is a cute little white sand beach about 1/2 block walk south. Visit the ocean lagoon, perfect for a quick snorkel, right next door. Amenities Include: Heated Pool, Free reserved Parking, BBQ, Full Kitchens, Dishwasher, Coffee Maker, TV/VCR, Phone, Linens, FREE High Speed WIFI Internet. 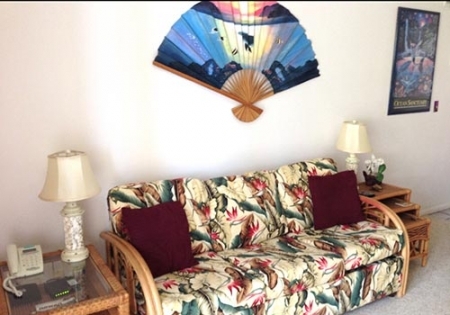 All of our condos have a private lanai (Hawaiian for balcony) off of the living room and overlooking the sparkling Pacific Ocean and the gentle waves of Kailua Bay. Our bedrooms are oceanfront as well!! Hale Kona Kai Condominiums is a quiet and secluded little hideaway on a little side street. Choose a perfect hale (home) for your vacation, we offer 30 oceanfront condos at Hale Kona Kai on the Big Island of Hawaii. Walk to town, a small white sand beach, the farmers market & a tropical lagoon. Sit on your lanai and watch turtles & Sunset.